Metro Accessible via the Yellow and Green lines using the U St./American Civil War metro station - located at U st between 12th and 13th- 5 minute walk to Bresca- walk west to 14th st, make left, 1 block down on west side of street near corner of 14th and T st.
We welcome groups to exclusively reserve Bresca and treat their guests to our exciting approach to modern bistronomy. We can accommodate standing receptions of up to 115 guests, or seated dinners of up to 70 in our main dining room. Additionally, our roof top herb garden and lounge provides the perfect outdoor urban setting for groups to sip on innovative cocktails while enjoying a selection of passed hors d’oeuvres. LARGE GROUP DINNER EVENTS- We can also accommodate smaller dinner groups of 9 to 25 with a specially curated menu in the dining room. Groups will be seated in our dining room at either one table (up to 18 guests) or multiple adjacent tables. A variety of dining options are available from a family style communal feast to a seasonally inspired tasting menu. Please contact us for more information. We look forward to hosting you! Bresca is a Contemporary French restaurant and cocktail bar located in the bustling 14th street neighborhood. We explore the finest in seasonal ingredients paired with genuine hospitality. Bresca will be offering a three course, family style Mother’s Day menu. $60 for adults and $30 for children 12 and under. Come join us to celebrate! Easter lunch at Bresca was one of the best meals I had this year! Fresh, beautifully prepared, combining simple ingredients into very tasty meals. Definitely coming back. This is consistently among my favorite places to eat in DC, and Easter was especially lovely. The duck was amazing. Best meal I have had in DC. We we have been to Bresca before and absolutely loved it. This time we went for Easter dinner. We chose the veal loin which was cooked to a perfect medium rare. It melts in your mouth. Before the veal was served our appetite was appeased with some stellar appetizers. An ocean trout crudo, warm beignets, burrata, Easter egg radishes. Dinner finished with a palate pleasing white chocolate bar. They had a special Easter cocktail menu which did not disappoint. I had the bees knees which was served in a bee shaped glass. Everything was delicious. Our server, Harrison, was knowledgeable with the menu, was happy to offer recommendations and answer questions. He did not rush us to make a decision and even asked if we would like to enjoy our cocktails before ordering. I would highly recommend Bresca for any occasion. We will definitely return again. Outstanding, creative cuisine, worth the recent Michelin star recognition. Good value too. 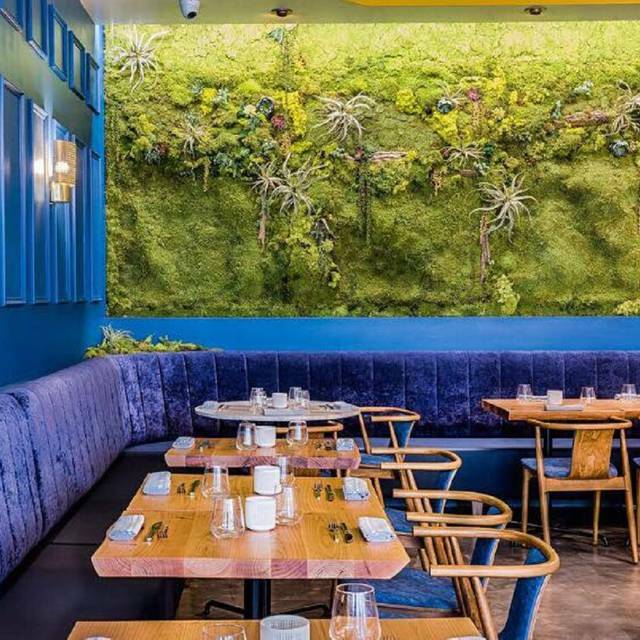 Beautiful dining room with a very cool "living" wall. (I also loved the art collage I was facing.) Service is friendly but not intrusive and the food is inventive and delicious. We especially enjoyed the saddle of lamb and the pea shoot raviolini. 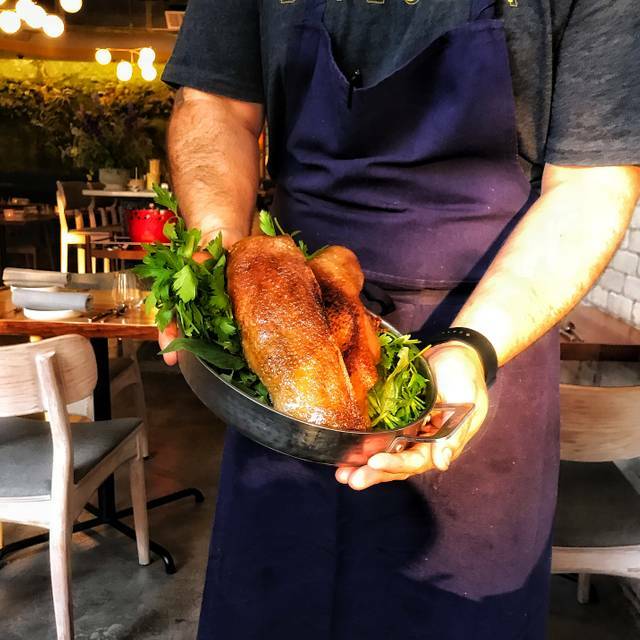 Only wish we could have tried the pressed duck--they only serve four a night, and the waiter said they were out of it 20 minutes into service. The food was very good. The noise level was too high. Conversation was difficult and inhibited by the loudness. The service was good except for one incident where a server whipped away my glass before I had finished a drink without asking whether I was finished. Other servers always asked before removing glasses and plates. At a quieter time this place could be a real gem. The food is always amazing as are the creative cocktails. This place also stands out for me because surprisingly few restaurants know how to treat solo diners well and Bresca nails it! Can't wait until I'm in DC again and have the opportunity to find there again. So delicious! Get the shaved beef snack. We thought the presentation, food and service was outstanding! Amazing place. Great cocktails, thoughtful and not pretentious wine list and fantastic food served in a comfortably formal manner. some of the dishes on the tasting menu is definitely over-salted such as the A5 wagyu dish. We ordered tasting menus with wine paring for diner. The composition of menu with seasonal ingredients, food serving timing, wine chosen with care for each plate, the knowledge of server and sommelier(e) ... everything were fabulous. The imagination and creativity of these dishes I have never encountered. Everything was perfect, the food, the drinks and the service. Well done, you have a very bright future. Food and atmosphere were amazing. Service could have been better, servers seemed nervous and disengaged. One was visibly frustrated with our table, making faces (eye rolling) that indicated so. To make it easy, our party agreed on the pre-set courses. Halfway through the experience he quit describing the plates and that caught me off a bit. There is a theatric to guiding guests on the journey in a fine dining restaurant and that was not achieved. Other than that, the experience was incredible. The staff were very warm and welcoming. Food was AMAZING!! I had my server basically just order for me because she made everything sound delicious, and turns out, it all was! 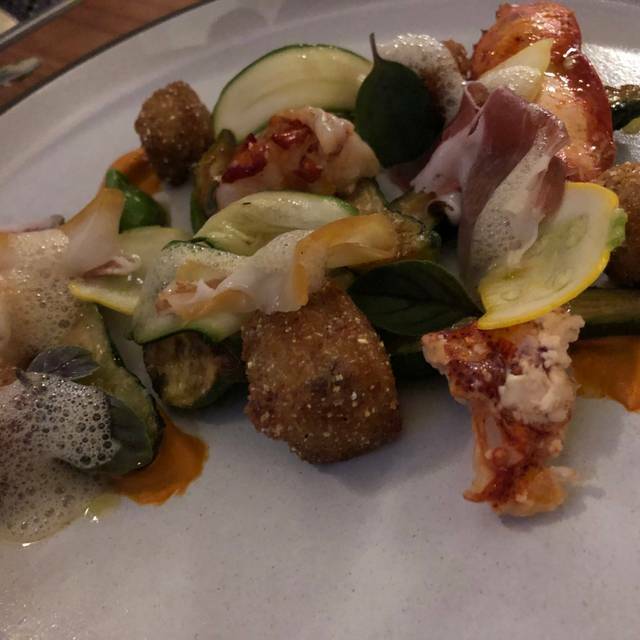 We were very impressed by the innovative and unusual dishes, all of which we enjoyed. Our server was friendly and very efficient, and the secondary servers helped keep the table clean and set with clean plates and utensils for the next round of courses. The restaurant was quite noisy but we were able to get a corner table by the windows which had a very good ambiance and was quieter. We had a wonderful first-time visit and look forward to coming back! Occasion: Birthday! Don't get me wrong, the overall experience was great, but it my opinion not worth the hype or michelin star. 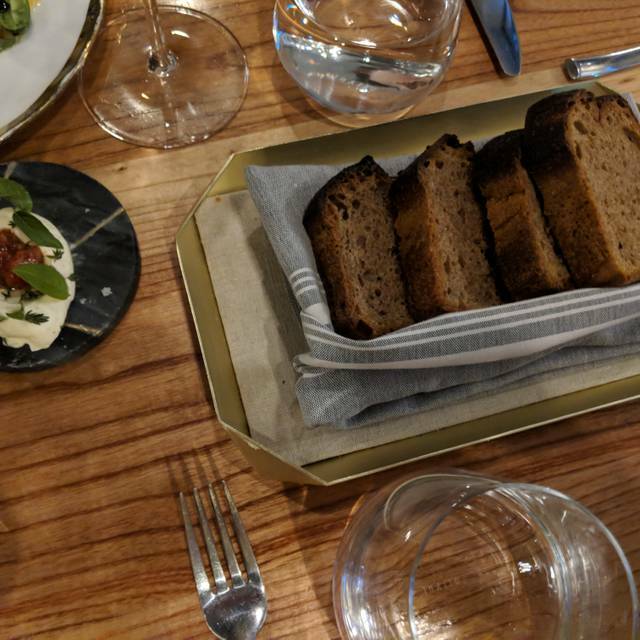 My partner and I visited another Michelin star in DC over the summer, and while the quality of food was comparable (excellent), the overall aesthetic, service, ambiance and wine list of Bresca were not nearly as impressive. To start with the good part - every single dish we had was absolutely beautiful and delicious. There is nothing to say on the quality of the food or the creativity of the menu. Our taste buds were very very satisfied and happy. On the less good part - We had to wait at least 10 minutes before someone came to see us and offered us water. The overall attitude of the servers was quite nonchalant and disinterested - expect for our main server, she was great. However, when we asked about portions and how many plates we should get each, she immediately said - 3 because if you get 2 you will still be hungry. 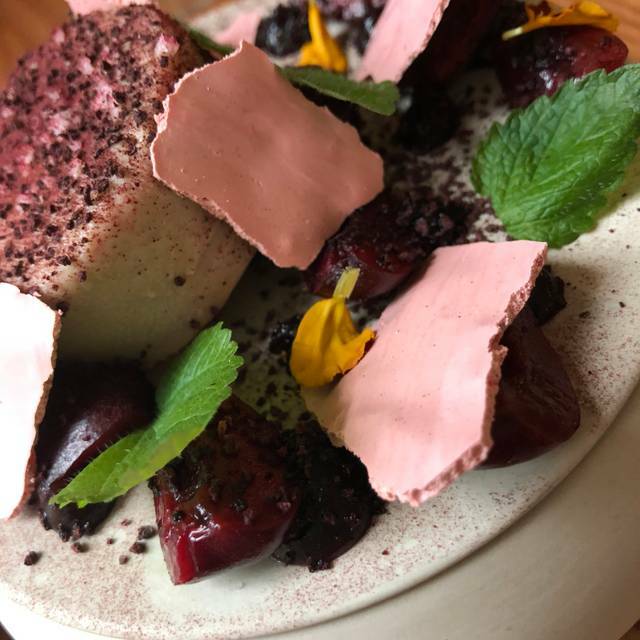 I felt as though this was a way to get us to spend more because by the 3rd plate we were not hungry anymore and I had to force myself to eat dessert (It was a birthday so obligatory dessert). I would suggest 1 small and 1 medium/large plate - it will be more than enough. 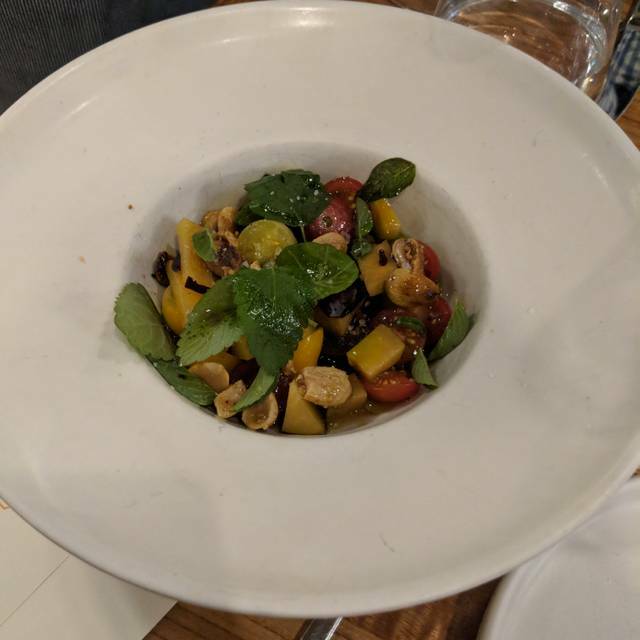 I felt very let down with the wine list, so I resorted to getting a cocktail, which was good, but would rather have had wine with such a great meal. Ambiance wise, It was very cold in the room. It was also very loud and the music kept changing between genres and volumes. Definitely not the upscale michelin experience I was craving or expecting - but I will come back for a bite at the bar rather than a full dinner. Very creative and delicious. Highly recommend this place. 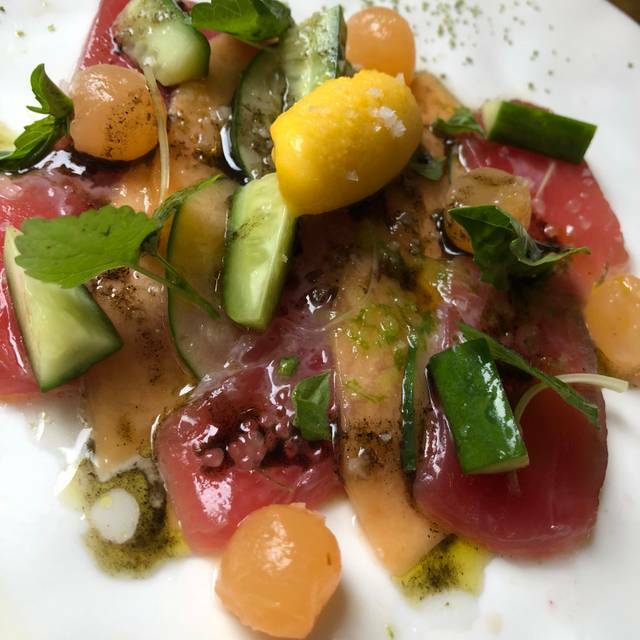 There are plenty of restaurants with great food in DC. What makes Bresca special is the staff. They are great without taking themselves too seriously. Enjoy the fantastic food and cocktails while having fun with your friends (and the staff). Perfect, best restaurant ever! The food was amazing, the presentation perfect, the waitress really nice. The only thing: they don't have espresso, I like that at the end of a good meal. And a bit noisy. Top notch food and great bar staff! Excellent food presentation and quality. On top we had to wait 25min to be seated even though we had reservations. 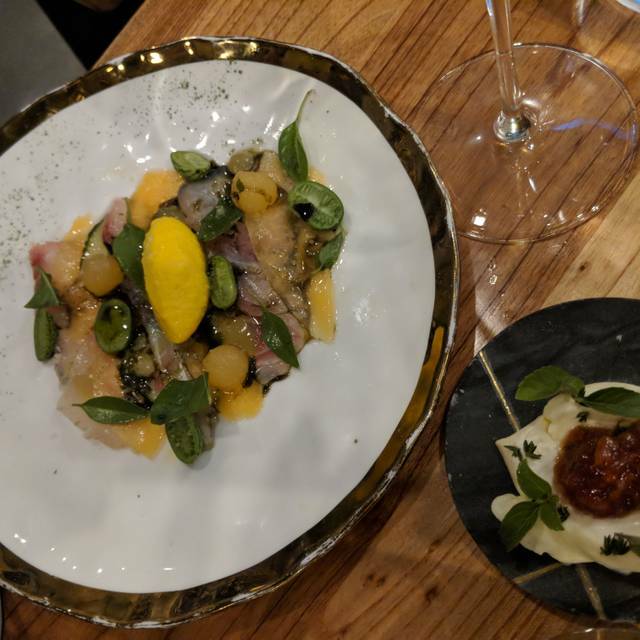 Bresca is one of my favorite restaurants in the DC area! Love their food and their service is amazing! The Pierogis are my absolute favorite dish there! What a phenomenal dinner! 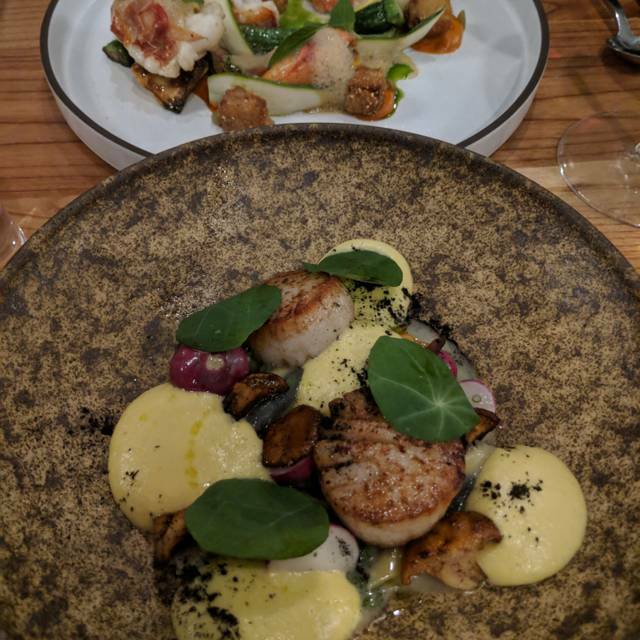 My wife and I had an amazing time eating our way through all the unique and delicious flavors. The small nuances, ambiance, and decor very much compliment the experience as well. The cocktails were killer, and the ‘honeybee glassware’ for The Bee’s Knees was such a cool touch. You drink it straight from its Thorax! Our server Erma was fun, pleasant, and knowledgeable, made us feel very welcome, and at ease. If you’re looking for an impressive adventure, and a kaleidoscope of flavors for your palette then make that rezzo! These plates will make you smile from ear to ear. You won’t regret it. Great food, and exceptional service that made you feel like you were the special people in the restaurant. I’m hesitant to recommended to anyone because I want this gem all to myself! Great food! Had a rowdy couple next to us but we pushed through it! Not worth the MICHELIN Star!! !